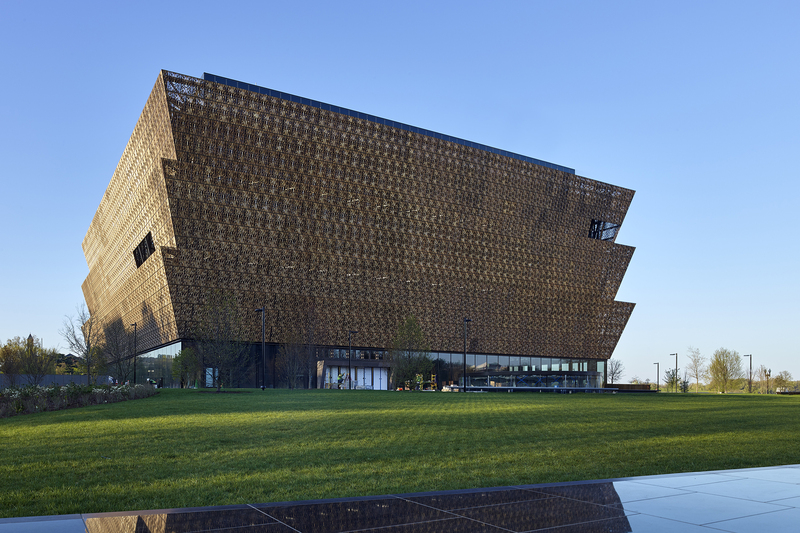 Two years ago today, Sept. 24, 2016, the museum opened on the National Mall, becoming the largest cultural destination devoted to exploring and displaying the American story through the African American lens. Visitors to the museum have included world leaders and dignitaries representing over 100 countries, among them Haiti, Italy, Jordan, Nigeria, China, Norway, Russia, Poland and South Korea. More than 4.5 million people from across the country and around the world have experienced the museum’s 12 inaugural exhibitions, and over 27,000 visitors have participated in nearly 100 public programs, including film premieres and screenings, children performances, book talks and panel discussions on social-justice issues. The museum reached millions more through social media, online collections and digital programming. New, hands-on features such as the Google interactive allow visitors to see, experience and virtually handle objects from the collection. And more than 44,000 visitors have shared their personal stories and the museum’s impact on them in the Visitor Voices reflection booths in the history galleries. This spring, the museum also welcomed an enthusiastic new staff member—Pepper the Robot. Pepper engages with visitors by answering questions, telling stories from the collection, and dances and poses for selfies. The museum houses a stand-alone art gallery featuring works by celebrated artists from the 19th century, including Henry O. Tanner and Robert Duncanson, as well as contemporary artists such as Kehinde Wiley and Amy Sherald. New to the collection are a previously unrecorded photograph of Harriet Tubman, a portrait of Henrietta Lacks, the Black Panther hero’s costume and LeBron James’ Nike Equality shoes. Expanding beyond its walls, the museum digitized more than 10,000 collection objects and 1.8 million records from the Freedman’s Bureau, making them free and searchable online. In 2018, the museum achieved LEED Gold Certification—the first honor of this kind for any building on the National Mall. An environmental leader, the museum uses 19,400 gallons per day of the repurposed rain, condensation and ground water it collects for building operations and 301 photovoltaic roof panels that produce 122,803 kilowatt hours annually. The museum has also published 15 books, including the photography series Double Exposure; From No Return: The 221-Year Journey of the Slave Ship São José. 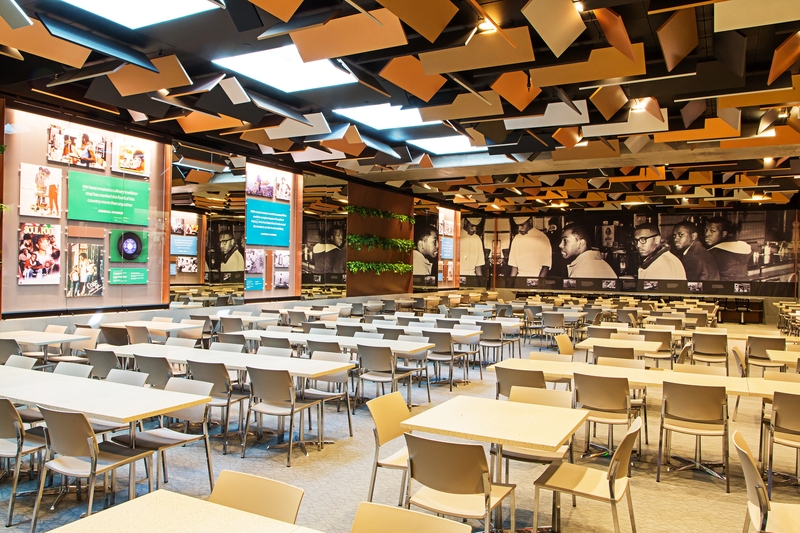 The museum’s Sweet Home Café, a James Beard Award semifinalist, serves on average 1,500 meals daily. This comes out to 2,200 pounds of chicken, 800 pounds of collard greens, 600 pounds of local blue catfish and 250 pounds of trout per week. The most popular dish in the café continues to be the buttermilk-fried chicken from the Agricultural South station. Sweet Home Café is the largest purchaser of local Maryland blue catfish in the mid-Atlantic region.